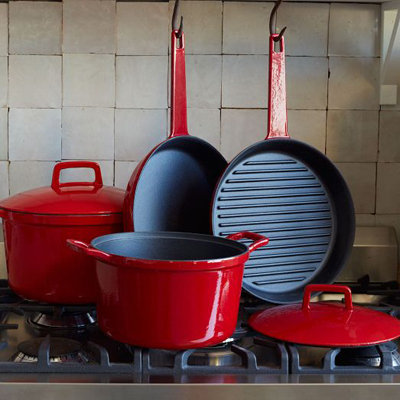 Covered in beautiful, shiny enamel, this Enamel Cast Iron 6-Piece Set has everything you need to fry, saute and bake in the kitchen: a spacious Saute Pan and Dutch Oven (both with lids), a heavy grill pan and an everyday skillet. $299. Buy here.